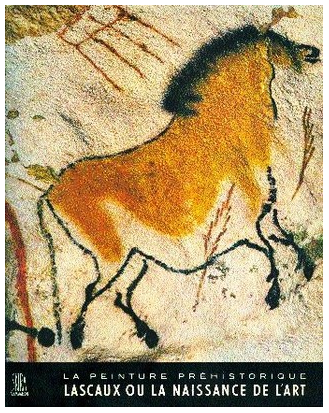 For eighteen years I have wanted the English translation of Georges Bataille's book La Peinture Préhistorique: Lascaux ou la naissance de l'art, ever since Maurice Blanchot's review essay appeared in the collection Friendship published in 1997. A strange yearning because Blanchot had summarised the content, so there was apparently nothing to gain and, what's more, I have never been a big Bataille reader, much preferring at university Blanchot's unparalleled prose to the jargon-scarred theory beloved of my fellow students who thought "transgression" meant wearing rubber. Still, there was something withheld by this book, the actual thing, the physical object, in its absence. Unfortunately, the edition from Albert Skira's Great Centuries of Painting series, described by one scholar as a "highbrow coffee table book", has been out of print since 1955 and secondhand copies have always been too expensive, often approaching three figures. Until late one night last November when desultory book searching revealed one in good condition for under £50. In a moment of madness, I clicked Buy Now and sat back to dwell on the extravagance. Taking delivery of a desired book often signals the end of possibility and the settling of melancholy in the prospect of the real thing finally arriving and dissolving the aura. And then there are the heavy demands of procedural content. Reading is bound to kill the possible book, the Platonic form revolving in your head, the edition of Bolaño's 2666 Kirsty Logan described a few years ago. 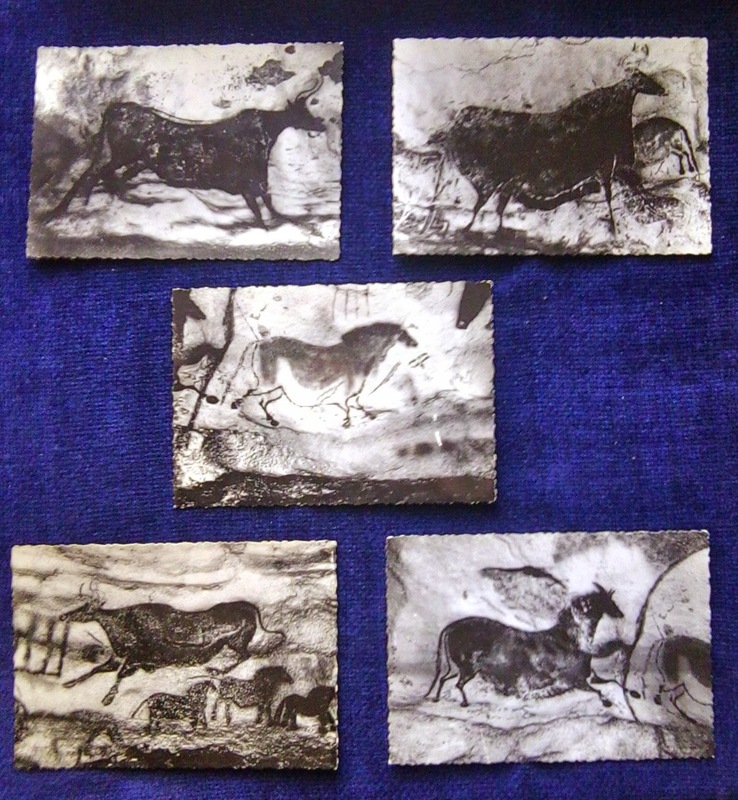 So it was my good fortune that Prehistoric Paintings: Lascaux or the Birth of Art got lost in the post. For two weeks I waited, anticipating each furtive visit from the postman and panicking once he had left. How could I have been so careless to waste fifty quid?! Wasn't this punishment for transgressing the line between desire and its realisation? In hope I walked to the post office depot to enquire. A queue lined the pavement outside. After fifteen minutes of standing around and shuffling forward in the cold, they said, Yes, they had a package for me but they couldn't hand it over because I didn't have a red card from the postman. What? But I'm here, now, so why not hand it over? No, that can't be done. At least let me see the parcel to prove to myself that it exists. No, that wasn't possible. They said they would have to redeliver it. Would tomorrow be OK? Yes, it would. This was good news, and I went home happy. Of course, the following day nothing arrived. I walked the post office depot again. The queue was even longer and, after half an hour of standing around and shuffling forward in the cold, the man behind the counter just shrugged. I went home unhappy and eventually gave up caring. A few days later the bell rang and the postman handed over an A3-sized package. Having ordered a Radio Times holder as a gift for a telly addict, I had my doubts about what it contained and tore at the parcel carefully. The first thing exposed was the spine of a book. So just look at it for a moment, shining there. The bright colours suggested a brand new book rather than one published sixty years ago. So this is what its absence withheld! On removing the cardboard slipcase and opening the book, five black and white postcards with serrated edges fell out. Pasted on the inside cover were three visitor tickets to three different caves. Souvenirs of another life. 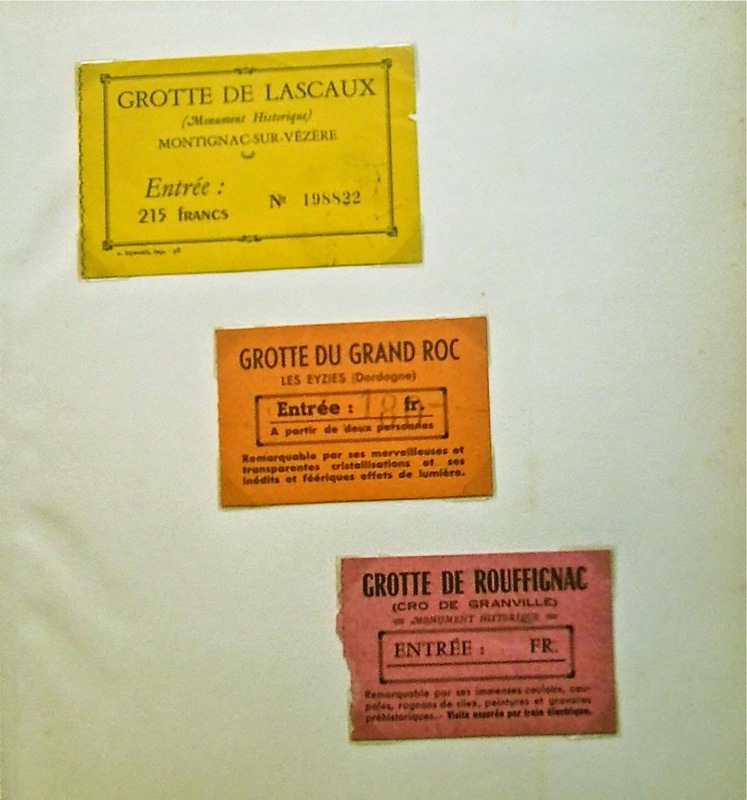 When the previous owner visited is unclear, but Lascaux was closed to visitors in 1963. These small discoveries were the prelude to the content. A miracle occurred at Lascaux, Bataille says, a miracle that remains before us in the "clear and burning presence" of these paintings. His rapture is evident, and it is rare for a world-weary reader to feel he shares in the author's wonder, lifting the pages to see what's next and reading the words so large and clear that they could have been typed directly onto the page. A similar edition written by Captain Cook or Neil Armstrong might compare. The production values are such that the illustrations are separate items, pasted onto the page. "What transfixes us is the vision, present before our very eyes, of all that is most remote. Of our presence in the real world." The paradox in the words of the caption, that being close to ourselves whilst in proximity to what is most remote, is explained here as the "strong and intimate emotion" of religion or, better, "the sacred", to which the cave paintings are "more solidly attached to than it has ever been since". This is not religion as one more additional theory but as the catalyst of humankind, when the creature wandering the icy plains descended into the caves and, in the remove of darkness and solitude, set itself apart from the animal kingdom and discovered itself, codifying the cosmos with paint. As Richard White puts it, this is "not the sacred as the beyond, another realm of being that exists in opposition to this one—but the sacred as the deep reality of this life that we are typically alienated from". So we shouldn't include these moments perusing the book with the usual "Oh I like that" pleasures of the art gallery but as the kindling of the effects of art was it when born; that is, when we were born, perhaps the deeper feeling we have in galleries we have since been socialised to restrain. Whatever, the miracle is foundational. 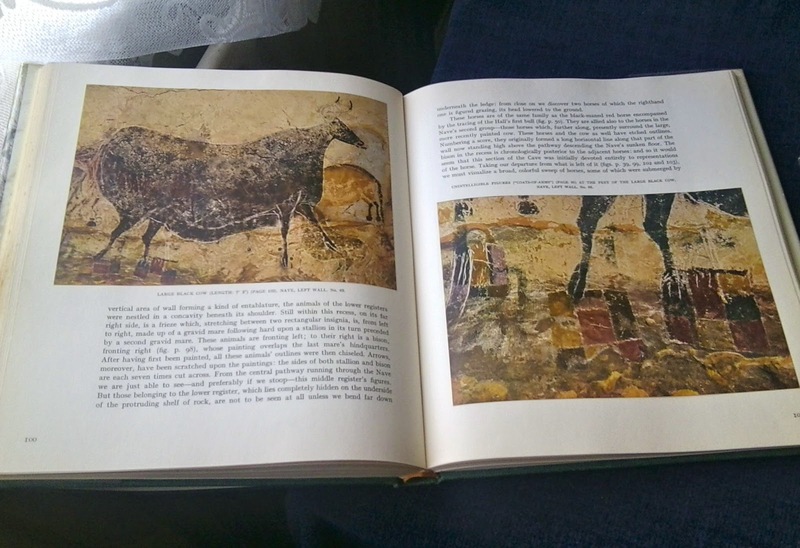 Bataille says that in looking at the cave paintings in Lascaux "we are left painfully in suspense by this incomparable beauty and the sympathy it awakens in us", and something close to this is what I experience looking at the book, if this can be called an experience. One is not transported in awe towards fantastical otherness but toward a fog-bound interior, as comforting as it is alien. "It is as though paradoxically our essential self clung to the nostalgia of attaining what our reasoning self had judged unattainable, impossible." This is where I ask: what can be done with this suspense and sympathy if our reasoning self is how we measure experience? The remainder of Prehistoric Paintings examines each area of the cave to elaborate the author's theory that art served as a channel for the animality enduring in the human community provoked by the taboos of death and sexuality. One reader, stepping forth with good reason, describes the book as "a lot of flowery writing that implies interpretations not necessarily supported by evidence", and it is this inevitable doubt and the scientific innocence that seems to me where the book is worthwhile. In his review, Blanchot suggests that it is from this subterranean overflow that humankind appears, because it reveals our separation from animals, over which we now recognise our power of life and death, and yet, at the same time, exposes us to a death blissfully unknown to animals, thereby weakening us. However, we modern humans value this unique quality over everything, so much that what Blanchot says weakened us is now what we believe makes us stronger. "The marvelous never loses its impact"
Bataille criticises the "timidity" of scholars who speak "with undue reserve" of what they see in the caves and thereby neutralise the effect of the marvelous on their studies. 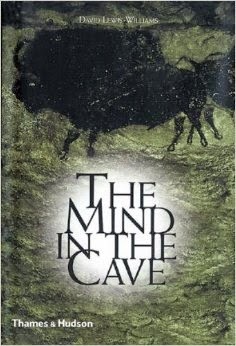 The "marvelous" then is that which is "not necessarily supported by evidence", and it is only an accredited scholar's book, such as The Mind in the Cave (2002) that can provide such evidence. 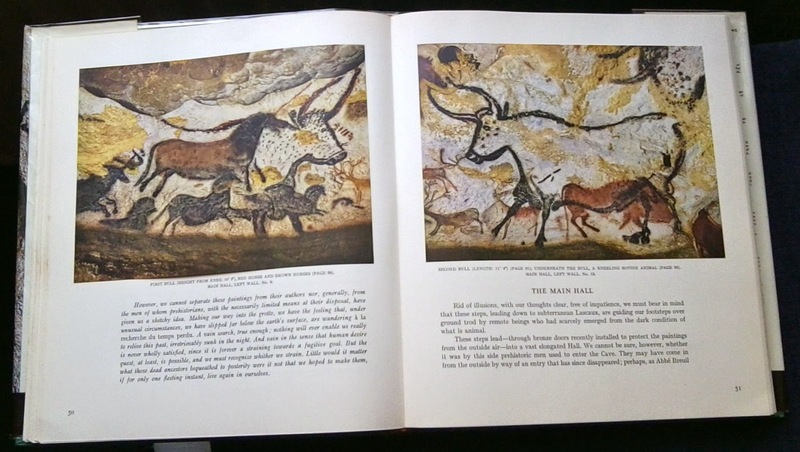 However, while David Lewis-Williams is a professor emeritus of the Rock Art Research Institute in Johannesburg, his book suggests Bataille's wonderment is vital for appreciating the caves, or at least to get closer to their creation. He explains that they were not created in sober rationality, not in the light of day but in states of consciousness we have devalued. He prefaces his study by presenting "the greatest riddle of archeology – how we became human and in the process began to make art" (my italics), so we see that becoming human is the lacuna. There were Neanderthals in the Middle Paleolithic era who did not make art and then there are Homo Sapiens in the Upper Paleolithic who did. What caused the transition between animal consciousness and that of Homo sapiens? Lewis-Williams runs through the intellectual history of attempts to explain the transition – Darwinian, Marxist, Structuralist and Evolutionary Psychological, though not Bataille's – before setting out studies of the art and beliefs of the San of southern Africa that were made before they were swallowed up by modernity. Homo sapiens have a higher consciousness than that of the Neanderthals, which allowed us to develop a fully modern language system, enabling us to "fashion...individual identities and mental 'scenes' of past, present and future events". But, crucially, we also have access to the lower end of the spectrum, altered states of consciousness such as dreams and trance states, brought on by communal rituals, dance and hallucinogens. Language enabled us to see these alternative realities, to hear inner voices and to articulate them to others. The cave paintings, Lewis-Williams argues, are attempts to fix these visions, to enable those who made them to touch "what was already there" in the spirit world. They are not representations of spirits but the spirits themselves. These dreams, sounds and visions revealed a cosmological order. Humanity's creation of the sacred was thereby possible only because of altered states of consciousness. And while Lewis-Williams' prefatory sentence implicitly rejects Bataille's thesis that art as practised by early humans precipitated its own emergence, he is as critical of Western scientists as Bataille for neglecting what he calls "the autistic end" of the spectrum of consciousness. As a result, their studies follow a positivist route in which intelligence and rationality become the defining characteristics of humanity and the manifest destiny of early people was grow to become "more and more like Western scientists". They are made in their own image. Yet we have the same neurological structure as early humans and, as Bataille reports, we respond with a curious, even painful sympathy to an art that transcends aesthetic pleasure. Cave painting, according to both Bataille and Lewis-Williams, is then not an addition to human society but constitutive of it. Lewis-Williams writes of the San that hierarchies developed according to those who had better access to the spirit world governing all life: "Art and religion were therefore socially divisive". Every member of a community had access to dreams and were keen to learn more, so were influenced by male and female "shamans" and took part in their rituals. Art and religion, art and the sacred, were indistinguishable and "image-making did not merely take place in the spirit world: it also shaped and created the world." It is a world we have long left behind, with commonsense and the insomnia of scientific method having replaced superstition and shamanic dreams in shaping our universe. To most modern minds, this is an unquestionable good. But it leads to a troubling question: if humankind emerged and grew to be itself out of reverence for what was revealed in realms of consciousness we now not only neglect but regard with suspicion, even as intellectual taboo, is our existence vitally impoverished? Perhaps my unaccountable wish to own a copy of Bataille's highbrow coffee table book reveals a buried giant of a need for the elemental in art more generally sublimated into gushing about "the wonder of nature". Such eruptions of the old fascination with dreams to be found in our confused response to art and artists, books and writers, movies and directors, and invariably contained by the intervention of biographical exposés, won't go away even in their diminished state, and indeed occasionally break through into polite society. It is implicitly approached in what has been recently labelled the Hard Problem of consciousness, itself a controversial outgrowth of cognitive science, and the explicit paradox of a debate dependent on its own immaterial space yet able to address it only in the autism of empirical discourse is the elephant in the room. However, to continue to the wildlife theme, it is suppressed, like moles on a bowling green, with the back of a humanist's spade. With this proscription of the sacred, however it is defined, deeply in place, it would seem a new kind of transgression is required. Except this is precisely the realm of true art. As Bataille writes: "only art expresses the prohibition with beseeming gravity, and only art resolves the dilemma [of proscription]. It is the state of transgression that promotes the desire, the need for a more profound, a richer, a marvelous world, the need, in a word, for a sacred world". Wonderful essay, Stephen. I too have wanted to own (or at least hold) a copy La Peinture Préhistorique: Lascaux ou la naissance de l'art for years. I don't think one could find a better edition than the one you now own. Lovely. Find a copy of Werner Herzog's 'Cave of Forgotten Dreams' http://en.wikipedia.org/wiki/Cave_of_Forgotten_Dreams and watch the walls of a different cave come alive! Thanks Todd. Hope you find one eventually. Mine came from the Cotswolds, which probably hasn't changed since the Upper Paleolithic. And Jim, I saw that in the cinema with 3D glasses when it was first released – stunning film. Probably shoulda' gotten that from the title. Duh. So glad to have clicked on the "Reader" tab and found this waiting for me. There is so much here that speaks to me, both as a visual artist, and as a writer. Civilization is such a vast clutter, one rummages through the debris searching for connections, as though through one of those vast, yet to be buried landfills. I take bits and hunks of trash if find on the street, in vacant lots, abandoned buildings, to arrange and rearrange them on a table until they fall out of the ordered place they were manufactured to occupy, and into something new--at least, to my eyes. It feels like working my way back to those caves. Thank your for this post. It was very much appreciated. Thanks Jacob. Clearing a space within the clutter of the industrial production of art and literature is certainly something I wanted to do with this post.